I’m so excited to join in on my first #SundaySupper with this Chicago Style Hot Dog! In honor of July being National Hot Dog Month, we’ve decided to bring you some of our favorite hot dog and hamburger recipes. 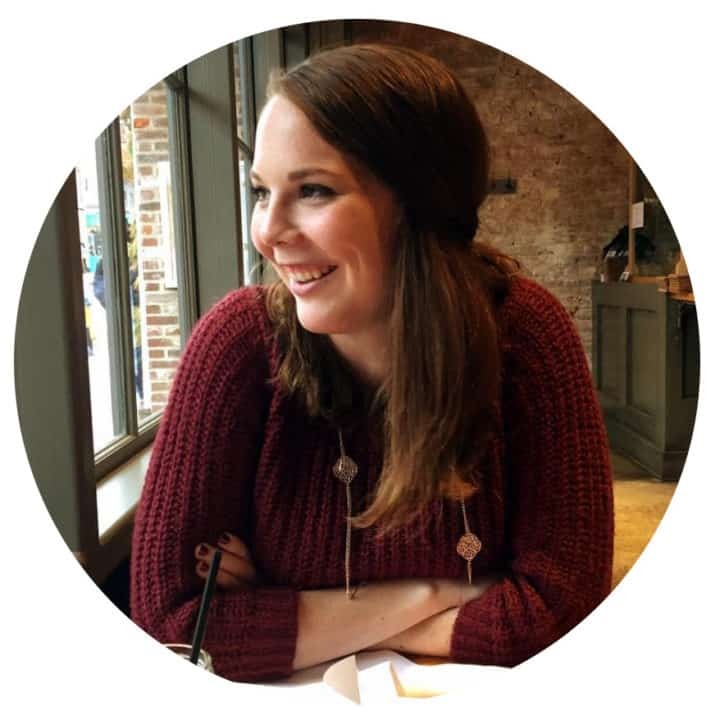 Shoutout to Christie of A Kitchen Hoor’s Adventures for being a great host! 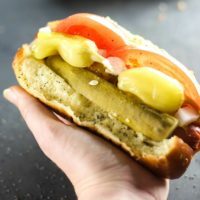 Be sure to keep scrolling to find more hot dog and hamburger recipes from the #SundaySupper Tastemakers! 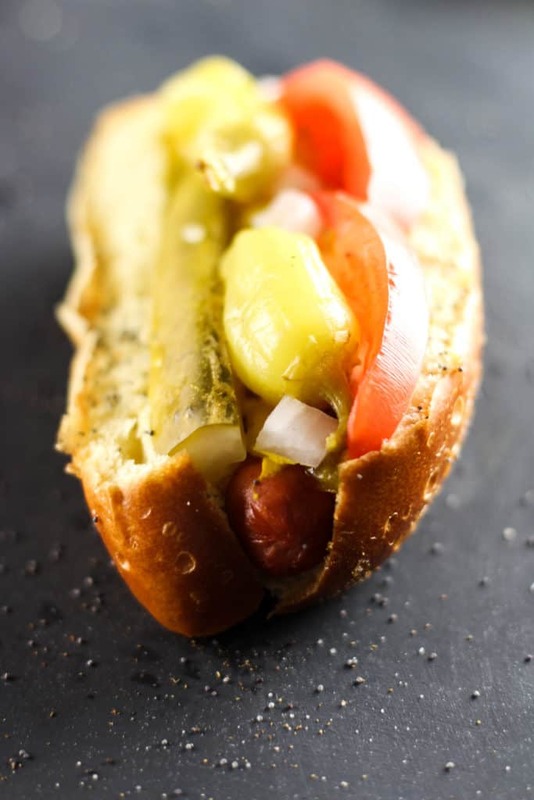 I’ve decided to bring you straight to the Windy City (maybe because wind would actually cool me down during these hot days…) with these Chicago Style Hot Dogs! Huge disclaimer. I am not from Chicago and I am not claiming that these are 100% authentic. Just let it happen. 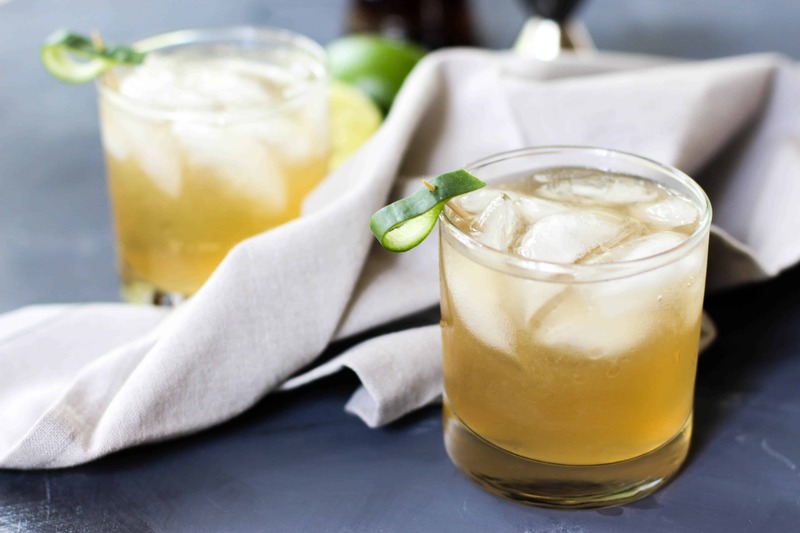 For someone like me, some of these ingredients were impossible to find in the grocery store. Looking at you poppy seed buns, neon green relish, and sport peppers. So I improvised… and that’s probably frowned upon. While doing research about Chicago Style Hot Dogs, I have found that people are passionate about them. If you don’t have poppy seed buns, neon green relish and sport peppers, it’s not authentic. I’m sticking it to the man and recommending other options. Watch me! There are options for how you cook your hot dog, like steaming or boiling them. If you cook it on the grill, it’s technically a “Char-dog.” I opted to steam the hot dogs to keep them juicy. The great thing about doing that is you can steam the buns as well. I added them for the last minute while the hot dogs were cooking. If you’re like me and couldn’t find poppy seed buns, right when you take the buns out of the steam, sprinkle with poppy seeds so they’ll stick! The sport peppers were also giving me trouble. I opted for pepperoncini peppers to keep the spice level down for the rest of my family. Other popular options I saw were whole pickled jalapenos, banana peppers, or serrano peppers. 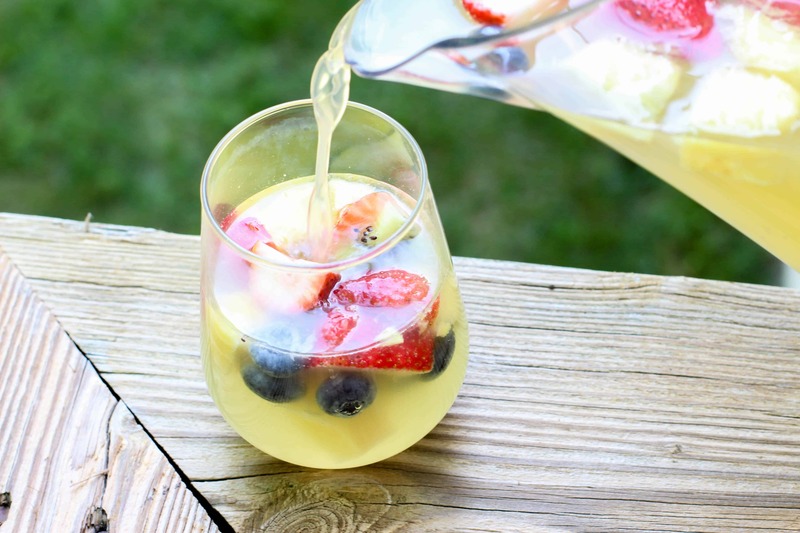 It’s really up to you and your taste preferences on that one! Shoutout to The ChicagoDog for supplying me with most of this information! 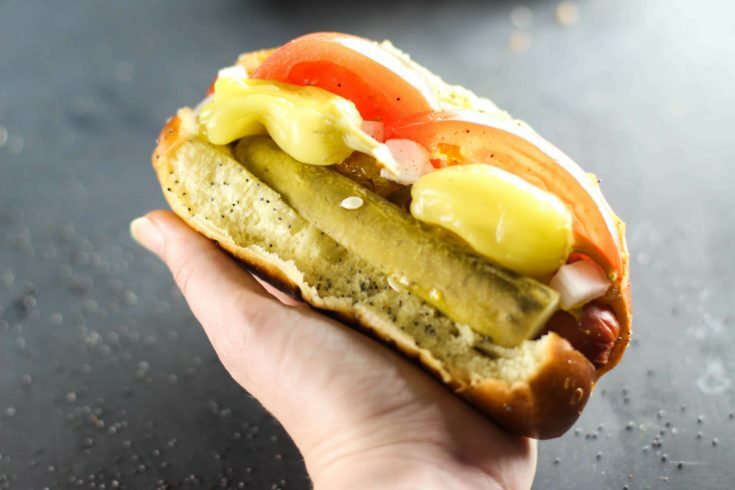 Also, pretty entertained and thrilled that the Chicago Style Hot Dog has it’s own website. That’s celeb status right there. Just whatever you do. DO NOT PUT KETCHUP ON IT. You will be disowned immediately. 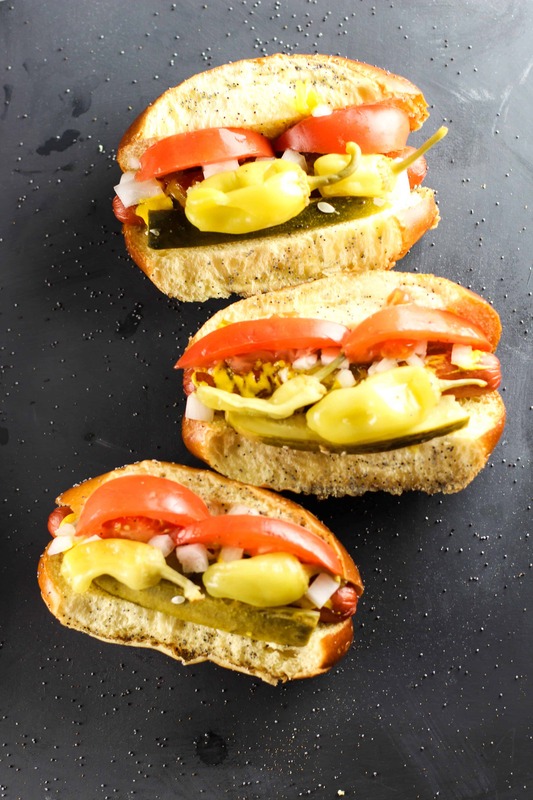 Try this Chicago Style Hot Dog to be instantly transported to the Windy City! Use a steam basket in a large pot. Heat enough water that barely touches the bottom of the steam basket and bring to boil. Place hot dogs in and cover. Cook 4 minutes. Add in buns and cook and additional minute. If you don't have poppy seed buns, sprinkle poppy seeds on buns once you take them out of the basket. 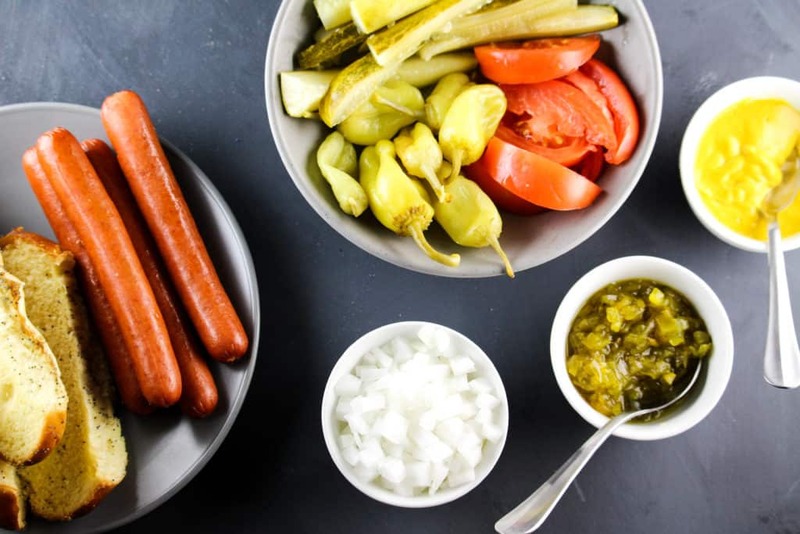 To assemble follow this order: bun, hot dog, mustard, relish, onion, 2 tomato wedges, 1 pickle spear, two peppers, dash of celery salt.